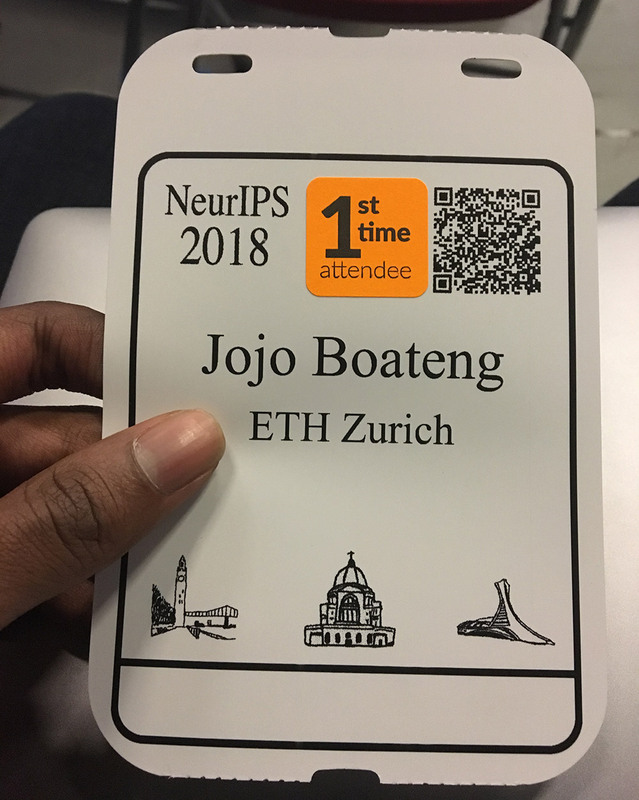 After the long ordeal in getting my Canadian visa, I was finally able to attend the 32nd annual Conference on Neural Information Processing Systems (NeurIPS) 2018 at Montreal, Canada from 2nd to 8th December, 2018 for the first time. The conference is one of the largest in Artificial Intelligence (AI) and machine learning conferences and had over 8,000 registered attendees with around 1,000 papers accepted. 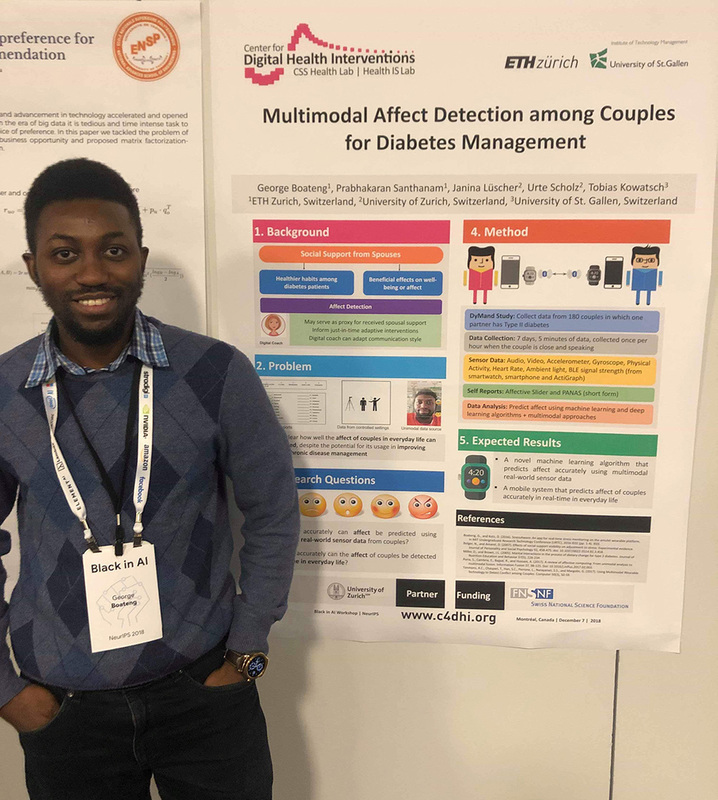 I presented my poster on my ongoing work on “Multimodal Affect Detection among Couples for Diabetes Management” at the 2nd Black In AI workshop that was held on the Friday, 7th of December. 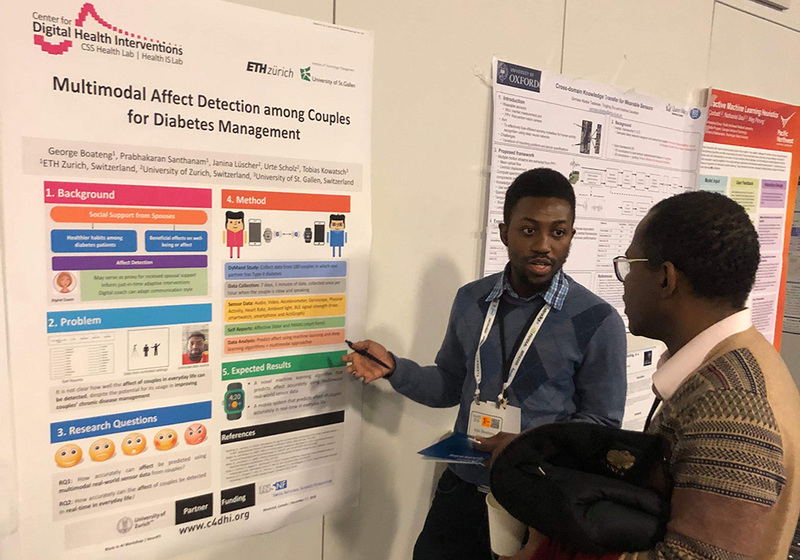 The workshop seeks to increase the participation of Black researchers in the field of AI as well as break barriers that hinder Black/African researchers from being full beneficiaries of the AI community such as issues with getting visas to important conferences like NeurIPS 2018 with the example of close to half of the 200 Black in AI registered workshop attendees including oral presenters being denied visas to attend the conference this year. At the conference, I was fascinated by the different research work being done such as fairness and bias in AI, unsupervised deep learning, explainable AI, auto machine learning etc. Also, through informal conversations with other researchers, I got the chance to learn about different work they are doing in the area of machine learning. I left NeurIPS with an interest to dive deeper into the fundamentals and theoretical foundations of deep learning as well as come up to speed with the various algorithms used in this field. And I’m excited about applying these techniques to my work on emotion recognition. I’m looking forward to returning to NeurIPS 2019, this time around with results and possibly some novel machine learning techniques to share from my research.